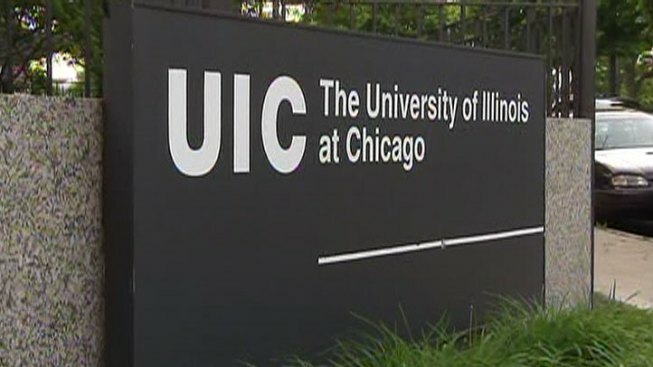 There has been a string of attacks aimed at UIC students. A crime alert has been issued by University of Illinois Chicago Police after a student was the victim of an armed attack Friday night. The student was walking in the 1400 block of West Harrison when he was approached from behind, struck in the head with a hard object and kicked in the face after he fell to the ground, police said. The offender then went through the victim's pockets while telling him he had a firearm. The student received minor injuries but declined medical treatment. The student described the offender as a black male, 26-30 years old, 6 feet tall and 170 pounds with black hair, brown eyes and medium complexion. The attack is the most recent in a string of incidents that have occurred on or near the UIC campus this school year. On the night of Oct. 12, a student was attacked while walking west in the 2300 block of West Blourney Street. He was punched in the face and robbed of his book bag. A UIC student was robbed Sept. 25 on the Chicago Transit Authority's Blue Line platform at the UIC-Halsted stop. A week earlier, another student was robbed at gunpoint on the 700 block of South Laflin. Earlier this month, UIC authorities said the number of crimes hadn't increased, just the number of alerts they're sending out to students. UIC Police strongly recommends that students comply with a violent or armed offender whose intent appears to be property or valuables.